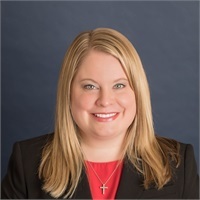 April Reed Crews is the CEO of Reed Financial Group, and as an Investment Advisor Representative, she has a legal fiduciary responsibility to act in the best interests of her clients. She holds a Life, Accident and Sickness License and gained her status as an IAR by passing the extensive Series 65 securities examination. 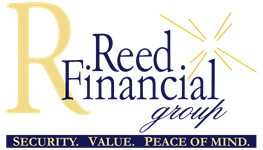 Reed Financial Group is a local, family owned company founded 35 years ago by April's father, Gary W. Reed. April works closely with her father, as well as her husband, Daniel Crews, in the specialized areas of protecting and preserving the life savings of retirees. She focuses on strategies that allow her clients to profit in any market cycle, while reducing taxes and creating income strategies to ensure that her clients never run out of money. Reed Financial Group was featured in the September 2014 issue of Forbes Magazine as one of Georgia's Financial Leaders. April is one of only 300 advisors in the nation to earn the designation of Ed Slott Master Elite IRA Advisor. Additionally, April is one of only 550 advisors nationwide to achieve the National Social Security Advisor Certification. As an NSSA certified advisor, April assists her clients with making informed decisions regarding their Social Security by providing comprehensive Social Security analysis and guidance. She was also named a FIVE STAR Wealth Manager in Atlanta Magazine in both 2011 and 2014. Reed Financial Group is a BBB Accredited Business (A+) and April is a member of the National Ethics Association (A+). In her spare time, April enjoys spending time with her husband and daughter, watching baseball, and supporting Brookwood High School Athletics.